If you think that burnt orange is hard to pull off, then you are not right. This color looks bold and bright, that's why many people think it's hard to wear it in everyday life. Today I want you to have a look through these voguish burnt orange dresses and choose your favorites. It can be a very flattering color what suits both summer and winter months. The great thing about this color is the versatility, what allows you to wear it with a variety of accessories, creating casual or striking look. Keep design and style simple, by wearing it with flat pumps during daytime and high-heels for a head-turning evening look. 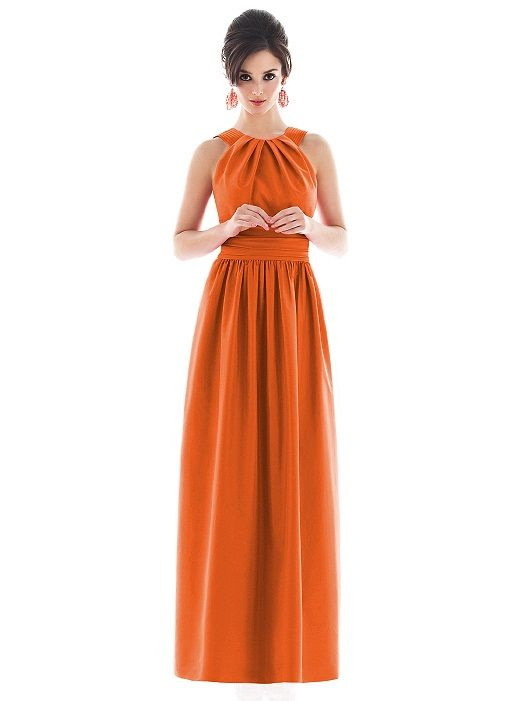 Read on to find out more about burnt orange dresses. We see a gorgeous long-sleeve maxi gown with front tie. It's an ideal choice for those ladies who love wearing 1970's inspired ensembles. Is item 11 above available for purchase? Thanks. Where can I buy item 14 please?